Add a touch of understated elegance to your clothing with this fashionable tie in saturated tones of periwinkle blue and dark chocolate brown. 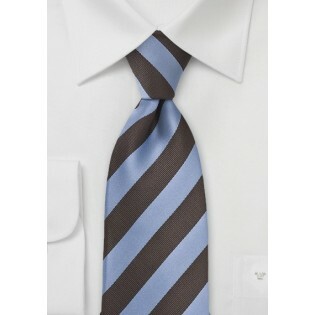 This high quality tie is made from a man made microfiber textile that is durable and wrinkle free. Debut a a classically cool and confident look by pairing this tie with a gingham dress shirt, a well tailored dark brown suit and brown leather loafers. 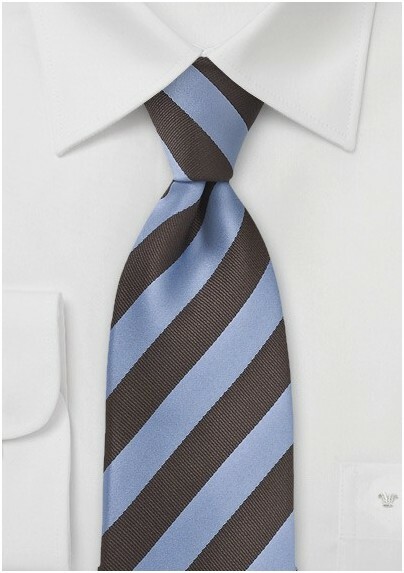 This handsome tie is designed by Puccini and comes in a wide assortment of colorways.